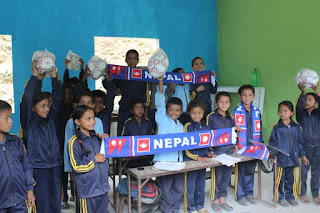 Excited to partner with GoalNepal.com and provide footballs to 12 schools in earthquake affected areas of Sindhupalchowk. I trust that participation in sports will serve as one way to help rehabilitate students from the trauma of the earthquake. Furthermore, I hope the kids at the schools can find the same joy in football and sports that I have found throughout my life and career.